(Freehold Township) – NJDOT maintenance crews today demonstrated the workings of a pothole-filling machine to help kick off their annual push to fill the spring crop of potholes and keep New Jersey highway safe and smooth. The Department fills potholes year-round, but spring is the time when many potholes form due to temperature fluctuations above and below the freezing mark. Water seeps into pavement cracks and expands when it freezes. The expansion deepens the crack and weakens the pavement, leading to a pothole. 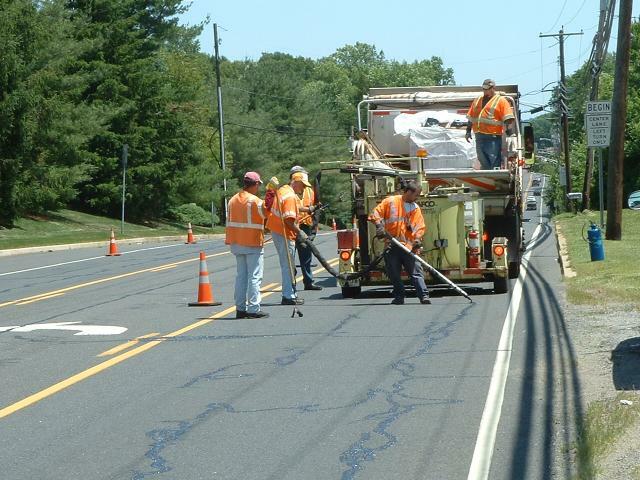 “The investments we are making in major roadway resurfacing and reconstruction projects are paying dividends in the form of improved roadway conditions,” NJDOT Commissioner James Simpson said. “We have pushed up our roadway ratings from 50 percent in acceptable condition in 2010 to 59 percent today. Major roadway rehabilitation investments in recent years on such heavily traveled roads as Interstates 295, 78, 80 and 287 have helped limit the number of potholes. Potholes can create safety hazards and can cause damage to vehicles, so motorists are urged to report any pothole they observe on a state or interstate highway to NJDOT. 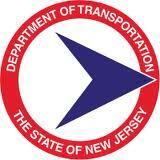 A convenient and simple reporting form is available online on the NJDOT homepage at www.nj.gov/transportation. During FY 12 motorists directly reported 3,476 potholes to DOT, and have reported another 2,561 so far in FY 13. Since the beginning of FY 13 on July 1, 2012, NJDOT road crews have filled about 94,000 potholes through a variety of methods, including hot patch, cold patch and machine-filled potholes. This number is expected to rise significantly in the remaining months of the fiscal year. The Department filled more than 170,000 potholes with these methods in FY 12. “Since 2010, we have shortened the average response time it takes our crews to get out and repair an emergent pothole from around five hours down to under three hours once it has been reported to us,” added Simpson. NJDOT crews also perform permanent patch work on sections of roadways that feature significant cracks and multiple potholes. 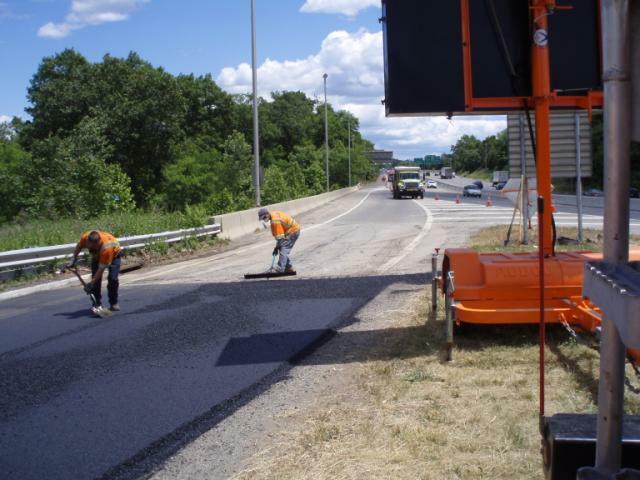 This technique involves cutting vertical borders around the entire affected section, removing several inches of the old road surface, painting the edges with liquid tar and filling it with hot patch before tamping or rolling. This type of work essentially amounts to a small-scale resurfacing project and creates a new driving surface that lasts for years. Aggressive maintenance programs to seal cracks also have helped extend the life of roads by preventing water from seeping into pavement. The machine that was used in today’s demonstration is one of six that the Department has leased and used since December. The machines heat the patch material and deliver a patch that lasts longer than those made with the cold-patch material that is available during winter months. The machines require fewer crew members to fill potholes compared to manual methods. The reduced demands on maintenance crews to fill potholes allows workers to pivot to other tasks, such as picking up litter, painting over graffiti, fixing damaged guiderail, mowing, and cleaning storm-water inlets. The ramped-up pothole repair effort is following closely on the heels of NJDOT’s announcement last week that 40% of available maintenance resources are being utilized during the month March to clean up litter. 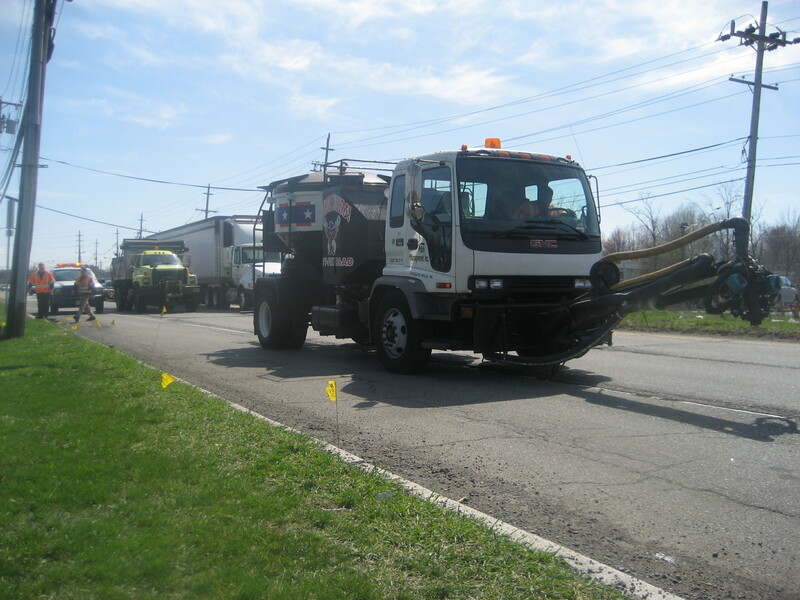 “We are challenging ourselves this spring on two fronts – to respond and to repair every pothole that we observe or gets reported to us by the public, while also making a noticeable difference in the appearance of highways through a massive litter-removal in which every mile of state highway will be cleaned,” said Assistant Commissioner of Operations Rich Shaw.